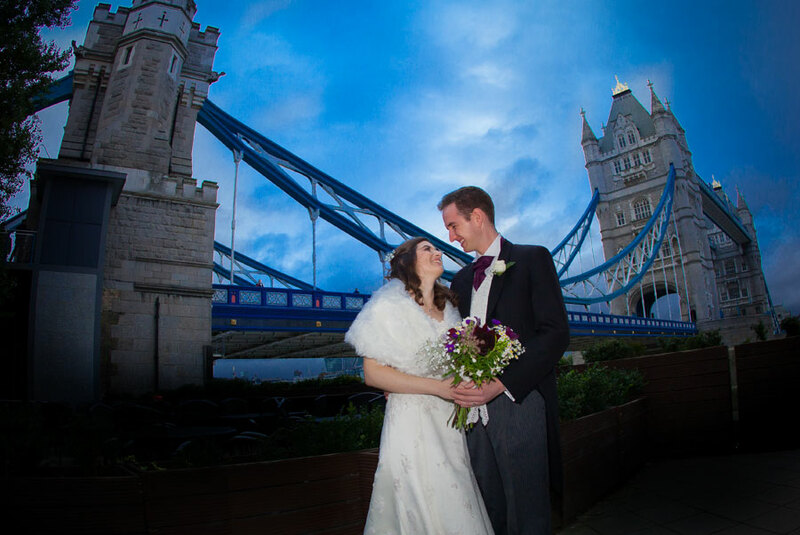 One of the best things about being professional London wedding photographers, is the incredible and varied locations that couples choose to celebrate their special day in. 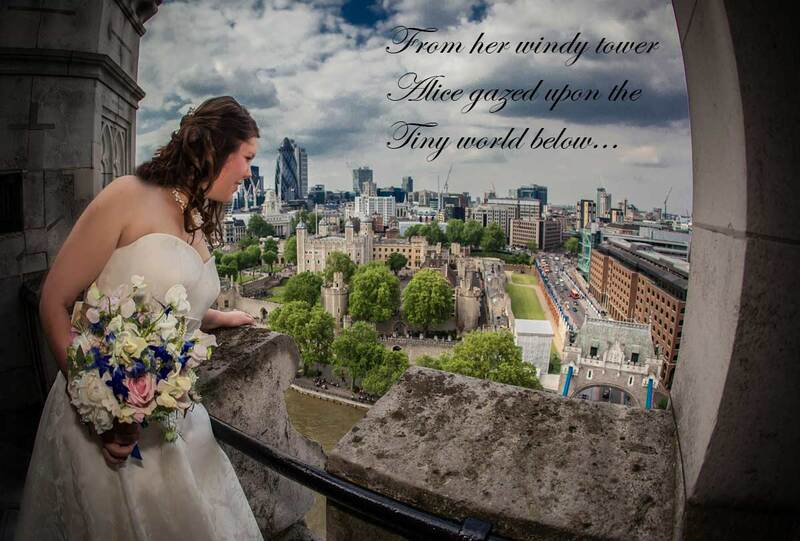 As Tower Bridge wedding photographers we have many times been able to work inside, outside, and alongside this most remarkable and famous Victorian landmark. 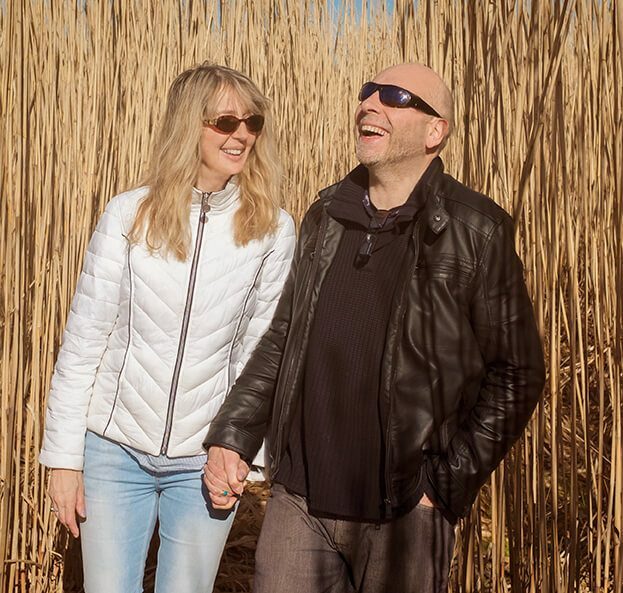 Because of its classic look, we have photographed couples who want traditional wedding shots, right though to those that prefer more eclectic and contemporary looks and quirky locations. Its always important for photographers to remember they are in the service industry, and although they may have an individual style and approach, that they are there to give the bride and groom who pay for them exactly what they want, and more besides! 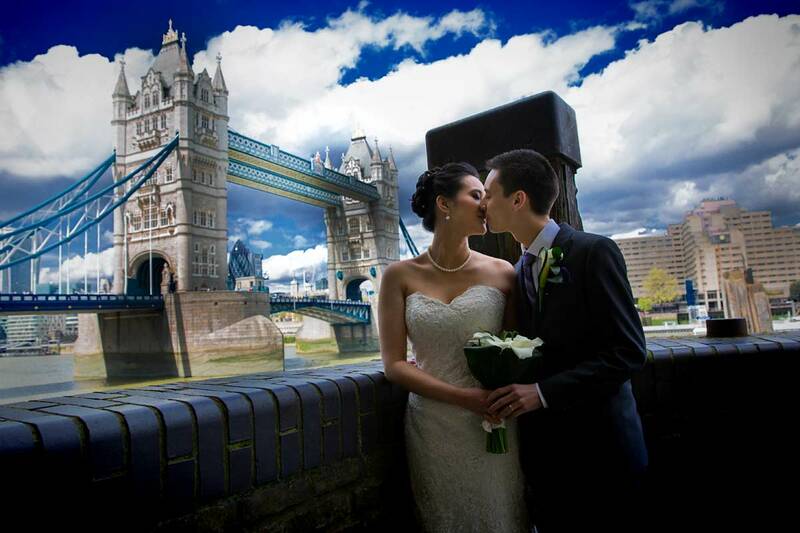 You can have an intimate civil ceremony in the Bridge Masters dining room part of the bridge, which is a very romantic location. Then you are able to have your reception in the wonderful dual blue walkways that span the bridge’s two towers. 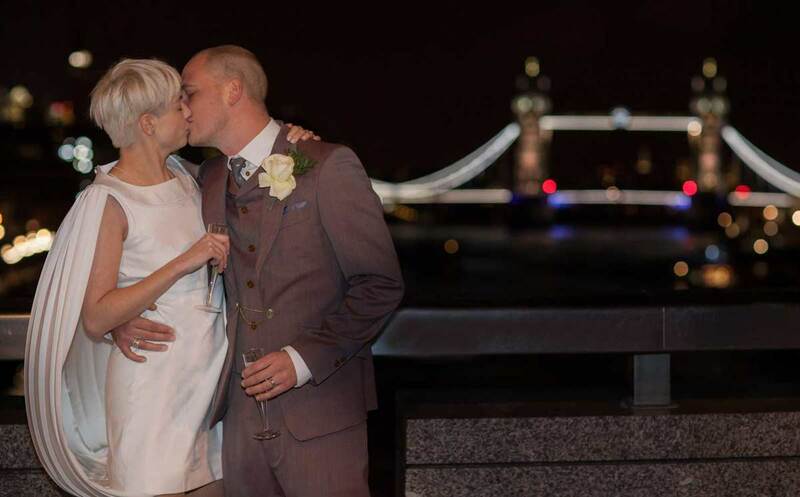 One of our favourite restaurants to eat in is Pont de La Tour at Butlers Wharf, and whenever we go we there we can look in any direction including towards the bridge and remember a happy day and corresponding couple who we have photographed there! 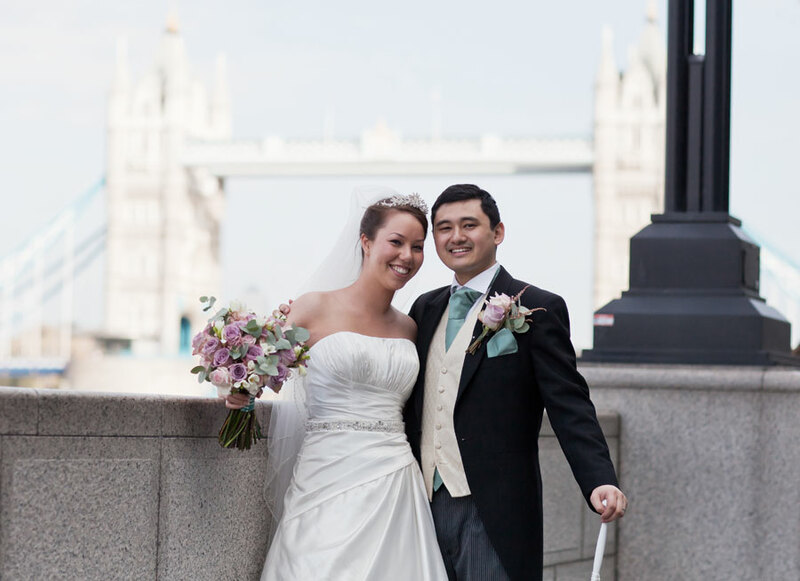 The four Thames side areas of the bridge all have incredible photographic opportunities for the trained eye, so much so that you need a plan with your wedding photographer, otherwise you could easily over run your big day schedule. 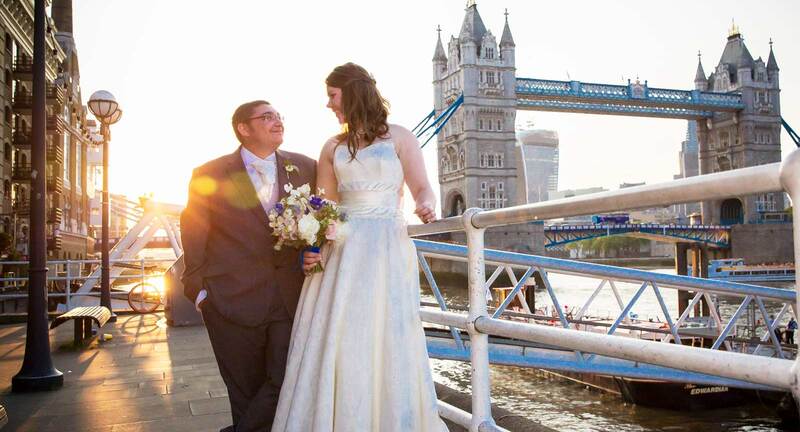 Have a plan but of course there will be plenty of opportunities for spontaneity, and the more people skills your Tower Bridge wedding photographers have (read that as us..!) then the more natural you will look in your images. A little bit of history…Construction work on Tower Bridge itself began in 1886 and was officially opened in 1894, though at the time not all of London was impressed with its design. Yet now when many people think of a London landmark they probably think of Big Ben, Buckingham Palace and of course…Tower Bridge. 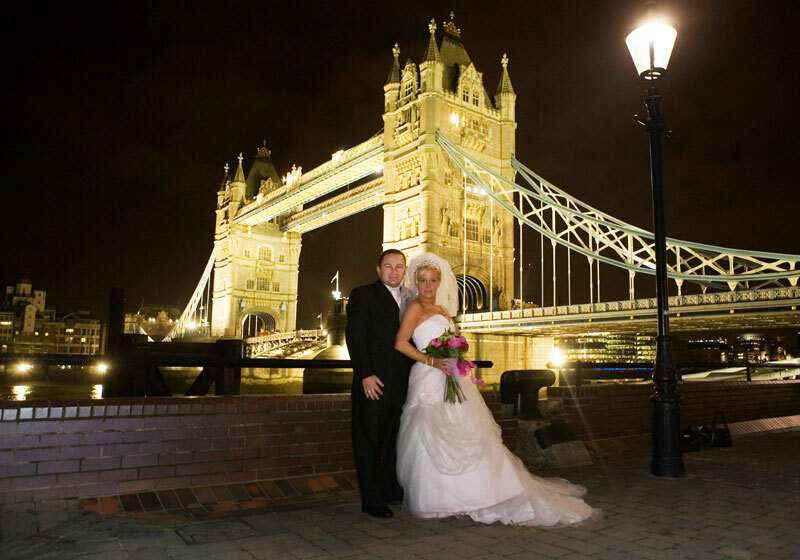 In 2011 Tower Bridge won the 2011 Event Magazine award for Event Space of the Year, we can certainly say it is one of the most memorable and special venues that we get to photograph in.